Werner's Cairns blog: A Lebanese Christian woman talks about Islam. This is wide spread in France and has now started in New York. When will it start in Australia? Click here for YouTube. The most important element of intelligence has to understand t he mindset and intention of the enemy. The West has been wallowing in a state of ignorance and denial for thirty years as Muslim extremist perpetrated evil against innocent victims in the name of Allah. Click picture to enlarge. I was ten years old when my home exploded around me, burying me under the rubble and leaving me to drink my blood to survive, as the perpetrators shouted, 'Allah Akbar!' My only crime was that I was a Christian living in a Christian town. At 10 years old, I learned the meaning of the word infidel. I had a crash course in survival. Not in the Girl Scouts, but in a bomb shelter where I lived for seven years in pitch darkness, freezing cold, drinking stale water and eating grass to live. At the age of 13, dressed in my burial clothes going to bed at night, waiting to be slaughtered. By the age of 20, I had buried most of my friends--killed by Muslims. We were not Americans living in New York , or Britons in London . We were Arab Christians living in Lebanon. As a victim of Islamic terror, I was amazed when I saw Americans waking up on September 12, 2001, and asking themselves 'Why do they hate us?' The psychoanalyst experts were coming up with all sort of excuses as to what did we do to offend the Muslim World. But if America and the West were paying attention to the Middle East they would not have had to ask the question. Simply put, they hate us because we are defined in their eyes by one simple word: infidels. Under the banner of Islam 'None is god except Allah; Muhammad is the messenger of Allah,' they murdered Jewish children in Israel, massacred Christians in Lebanon, killed Copts in Egypt, Assyrians in Syria, Hindus in India, and expelled almost 900,000 Jews from Muslim lands. We Middle Eastern infidels paid the price then. Now infidels worldwide are paying the price for indifference and short-sightedness. Apathy is the weapon by which the West is committing suicide. Political correctness forms the shackles around our ankles, by which Islamist's are leading us to our demise. America and the West are doomed to failure in this war unless they stand up and identify the real enemy: Islam. You may hear that there are only a few extreme form of Islam. All the other Muslims, supposedly, are wonderful moderates. 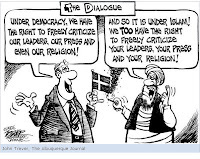 Closer to the truth are the pictures of the irrational eruption of violence in reaction to the cartoons of Mohammed printed by a Danish newspaper. From burning embassies, to calls to butcher those who mock Islam, to warnings that the West be prepared for another holocaust, those pictures have given us a glimpse into the real face of the enemy. News pictures and video of these events represent a canvas of hate decorated by different nationalities who share one common ideology of hate, bigotry and intolerance derived from one source: authentic Islam. An Islam that is awakening from centuries of slumber to re-ignite its wrath against the infidel and dominate the world. An Islam which has declared 'Intifada' on the West. We are fighting a powerful ideology that is capable of altering basic human instincts, an ideology that can turn a mother into a launching pad of death. A perfect example is a recently elected Hamas official in the Palestinian Territories who raves in heavenly joy about sending her three sons to death and offering the ones who are still alive for the cause. The United States has been a prime target for radical Islamic hatred and terror. Every Friday, mosques in the Middle East ring with shrill prayers and monotonous chants calling death, destruction and damnation down on America and its people. The radical Islamist deeds have been as vile as their words. Since the Iran hostage crisis, more than three thousand Americans have died in a terror campaign almost unprecedented in its calculated cruelty along with thousands of other citizens worldwide. This intentional, indiscriminate and wholesale murder of innocent American citizens is justified and glorified in the name of Islam. America cannot effectively defend itself in this war unless and until the American people understand the nature of the enemy that we face. Even after 9/11 there are those who say that we must engage our terrorist enemies, that we must address their grievances. Their grievance is our freedom of religion. 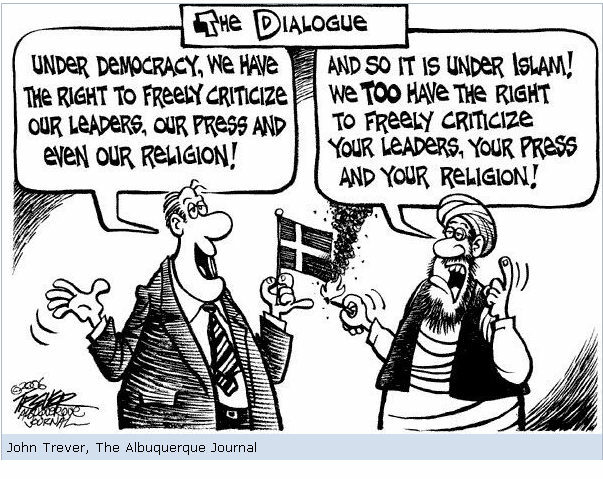 Their grievance is our freedom of speech. Their grievance is our democratic process where the rule of law comes from the voices of many not that of just one prophet. It is the respect we instil in our children towards all religions. It is the equality we grant each other as human beings sharing a planet and striving to make the world a better place for all humanity. Their grievance is the kindness and respect a man shows a woman, the justice we practice as equals under the law, and the mercy we grant our enemy. Their grievance cannot be answered by an apology for who or what we are. If we don't wake up and challenge our Muslim community to take action against the terrorists within it, if we don't believe in ourselves as Americans and in the standards we should hold every patriotic American to, we are going to pay a price for our delusion. For the sake of our children and our country, we must wake up and take action. In the face of a torrent of hateful invective and terrorist murder, America's learning curve since the Iran hostage crisis is so shallow that it is almost flat. The longer we lay supine, the more difficult it will be to stand erect. This is all coming true. A non-patriot is President of this great country. He has openly admitted his Muslim roots and his sympathy for all Muslims. How can this happen?? APATHY, that's how!!! 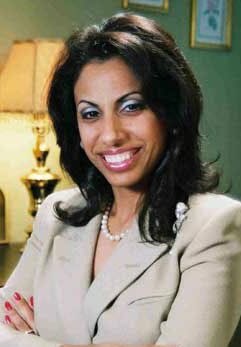 Brigitte Gabriel is an expert on the Middle East conflict and lectures nationally and internationally on the subject. She's the former news anchor of World News for Middle East television and the founder of American Congress. I read this article with great interest and must admit that it gives plenty grounds to worry about the future of our country. Are our politicians lacking foresight or are they totally ignorant as to what is happening in the European countries that once let Muslims enter without giving any thought of their capability of existing or performing in a harmonious or congenial combination? No wonder we are becoming cynical towards politicians in this country. I am researching a program that will explore different migrant experiences in Australia. With anti Islamic sentiment growing across Europe and the US, we want to explore what's driving this and whether Islam and western values are compatible. We hope to bring together different migrant groups to compare and contrast their migrant experiences. I was having a read of your blog and i would be keen to have a chat with you about your personal experiences as a migrant and your views on this issue.